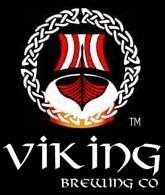 Other happenings in town include brewery tours of Viking Brewing Co. from Noon – 2 PM. Come and see how Viking brews its beers; A Silent Auction from 10:00- 3:30 on main street; the Viking funeral will be at 5 o’clock at the park and Morris Dancers performances around to throughout the day. After glow by the Royal Clark Band from Beaver Dam, WI at Clickers. What could possibly make this event even better? You can buy a Dallas Oktoberfest mug for $6 (while supplies last) and have the first mug of Viking beer or root beer FREE (refills only $1). Remember to come to Dallas on October 2nd for a really great time! Oh yeah, watch for the occasional cannon blast at the park. The Dallas Oktoberfest will be held rain or shine. To see photos from past Dallas Oktoberfest, go to: http://www.vikingbrewing.com/ofest.htm Dallas is located between Ridgeland and Chetek on Barron County A. From Chetek, take county I west, continuing on A into town. From Menomonie, take 25 north 2 miles past Ridgeland turning east on county A into town.